Motorola There are 6 products. 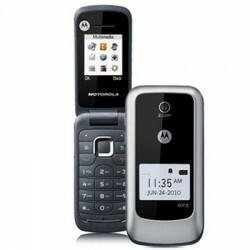 The new Motorola Charm MB502 has a 2.8 inch touchscreen with a 320 x 240 pixel resolution. 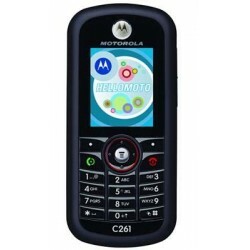 The Motorola Charm MB502 works with a 600MHz Cortex-A8 processor and with the Platform Android 2.1 aka Eclair. The Motorola Charm MB502 is one of the thinnest and lightest Android phones yet. Refurbished. 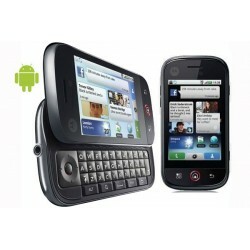 The Motorola Cliq XT is a touch screen smartphone running Google's Android software. Like the original Cliq, the Cliq XT uses MotoBlur to organize contacts, posts, messages and photos from sources like Facebook, MySpace, Twitter, Gmail and email into the home screen -- so users can see everything that matters in one easy view. Like New! This basic phone features a slim design with a large, bright display and a VGA camera. Other features include speakerphone, MMS, and built-in games. Brand New. Oxygen Blister Pack. Motorola's first phone with the Android platform. This 3G smartphone sports a slide-out QWERTY keyboard, 5-megapixel auto-focus camera with video capture, and 3.5mm headset jack. Other features include HSPA 7.2 3G data, large capacitive touch screen, WiFi, and a memory card slot. Refurbished. 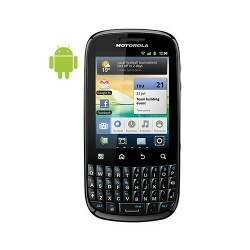 The new Motorola XT316 is a large 2.8-inch touch screen mobile sporting a QWERTY keypad below the display . 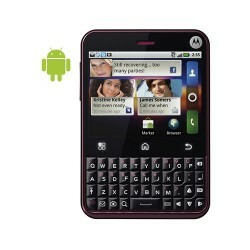 This Touch and Type QWERTY mobile is running the latest Android v2.3 OS. It features high speed 3G HSDPA (downlink) but the upload link supports only 384 Kbps speed. Brand New. Simple. Stylish. 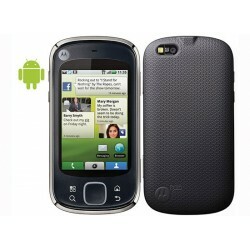 Affordable phone for the occasional user is the Motorola WX345, a feature-rich yet simple to use phone. This stylish flip phone comes equipped with everything you need to keep in touch. It has a digital camera, MP3 player, and FM radio. Plus, it supports Bluetooth connectivity and Web access.